VA Window Cleaning is a registered, insured and professional cleaning company serving in the Woodbridge, Fairfax, Alexandria, VA. Our highly trained window cleaning and power washing team offer professional window washing services for all types of homes. Along with knowing that you’ll see spotless results from VA Window Cleaning, you’ll also enjoy fantastic savings on window washing and power washing services. Window Cleaning Services | Exterior Cleaning Commercial, Retail and Residential Improving or maintaining the appearance of your home or business starts with calling Elite Window Washers! We offer our clients a variety of services to ensure that we meet your needs such as Window Cleaning, Gutter Cleaning, as well as Pressure Washing. We are happy to offer a variety of other services including Chandelier, Light Fixture, and Ceiling Fan Cleaning. We also offer services for Hard to Reach Cobwebs, Light Bulb Replacement, and Screen Cleaning. 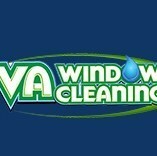 Call today for an estimate to see how reasonable it is to take care of your window washing needs! Serving satisfied customers in Philadelphia, Berks, Chester, Delaware and Montgomery Counties with quality and professional results. Best Window Cleaning is a residential & commercial window cleaning company. For 12 years we've served the Maryland / Delaware / Washington DC area. 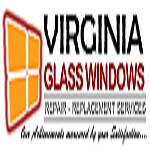 Virginia Glass Windows is one stop solution for window glass replacement, door glass replacement, foggy glass replacement and broken window glass replacement in Alexandria VA. For more call @ (202) 670-2490. Residential window washing experts for over 35 years! Dr. Glass Window Washing is a family operated business that values quality services and good relationships with customers. Philip Bregstone started Dr. Glass Window Washing in 1978, one squeegee and one window at a time. Whether you want your windows clean for a special event, or on a regular basis, we can provide that service. With over 30 years of experience. 5 star ratings, A ratings and reviews with angieslist.com and The Better Business Bureau you can be assured to get and honest and reliable service. We are a janitorial company based in Catonsville, Maryland, offering services in Anne Arundel, Baltimore and surrounding counties. The majority of our customers have used our services since 1999. Why such loyalty? Two words: HONESTY and DEPENDABILITY. Malibu has been serving Annapolis residents and businesses for over 5 years. We have proudly served 15,000 homeowners in our residential cleaning and maintenance division. Our crews are well trained and courteous professionals who will treat your home with care. This is why our customers call on us year after year for their seasonal needs. 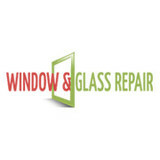 When We Do Windows started out in 1981, we were a small company offering general residential window cleaning services. Today, we're still making your windows sparkle, but we've grown to offer much more! At We Do Windows, we only use environmentally-friendly cleaning products on every job. This helps us minimize water use while making your home shine from top to bottom. With over 35 years of industry experience and eco-friendly products, We Do Windows can restore the shine to your home while helping you avoid costly maintenance and breakdown of your windows, siding, sills, skylights, and other areas. Contact our licensed and insured experts for a wide range of cleaning services to keep your home shining and so much more! 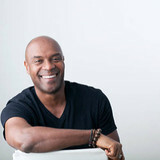 We specialize in helping home improvement and home maintence service companies in NC and MD. Construction, HVAC, Roofing, Electricians"
Are you looking for a reputable exterior home or business cleaning service company that has a good and positive reputation in Southern Maryland, Anne Arundel, and Howard Counties? If you need the assistance of someone trained and reliable, you have come to the perfect place for the job! Bright Exteriors has more than 23 years of professional experience as a pressure washing service provider in Tracys Landing, MD, which is something that helped us polish our workmanship to a world class level. Our company was established in 2011, and during that time, we have been able to work with both residential and commercial clients on all kinds of projects.